There are a lot of controls on the dashboard of this website, and I confess I am novice, still a student driver really, when it comes to operating such a contraption, but from what I can tell the Comments section should be open and I would welcome the opportunity to hear from you. • I will try to take on board your ideas where it comes to improving the usefulness of this site, to the extent time and my limited technical know-how will allow. • Likewise, if you have questions regarding just what in the world I was thinking when I paired up certain texts with certain other ones, I'll do my best to field such questions ... as memory serves. • The Comments section is also a good place to initiate conversations among yourselves, at least brief ones, on the texts under considerations. • I would especially welcome your fresh theological discoveries and exegetical insights from the texts, and testimonies as to how your congregation responds to these texts. With just a few days, a matter of hours really, before the end of Year C, let me encourage you to spread the Word about Year D to your colleagues in ministry, both within your denomination and across "party lines." Next week, the week after Christ the King, is a holiday week, that is, a short work week, so the time to plan for the First Sunday of Advent using this calendar of alternative texts is flying by. 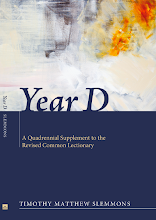 Let others know about Year D, and we will no doubt be enriched by undertaking this journey together. Meanwhile, you may wish to view this new post about scheduling possibilities. Can’t decide whether to shift into the Year D lane? Advent's coming! Let's think it through. First of all, if you have some hesitancy, that is understandable. Year D is not for the faint of heart, and may not be the best choice for the beginning preacher. These are tough texts, "strong meat" (Heb 5:12, KJV). Not that the RCL does not also include many tough, meaty texts. Obviously, it does. 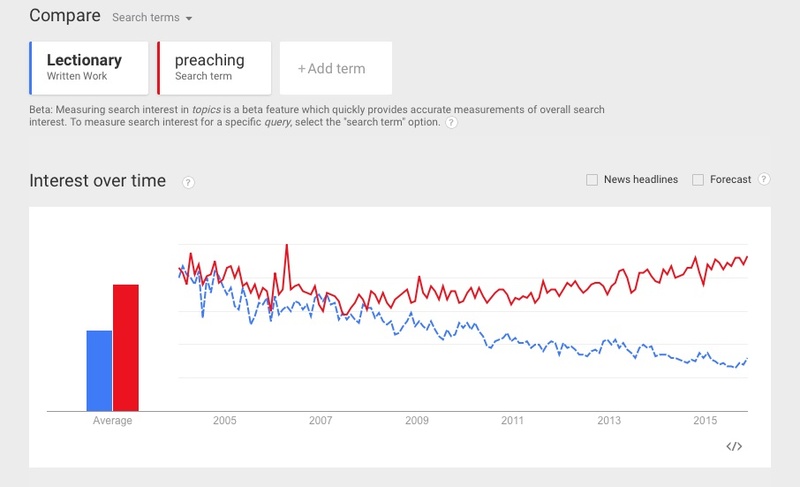 It's all "written Word of God," right? But the very design of Year D (with longer lections and fewer ready-made resources) will likely entail more time in the study, that is, if you want the worship service to hold together. 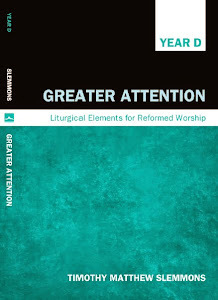 In many respects, it may be worth your while to give Year D some more serious thought, study, and prayer, perhaps in consultation with your staff or colleagues or with those who might be willing to work on developing more liturgical resources than I have been able to put together here. And if you need any further encouragement to plunge into Year D, here it is: the church today needs these texts - desperately, far more desperately than you need the luxury of lingering over the decision. Don't just take my word for it. The texts that comprise Year D will prove themselves to you again and again. They themselves make the best case for Year D, and if you simply start down this road, you will soon find yourself saying, as I have said repeatedly: "What! You mean that text is not in the lectionary!?" Second, let’s look at some more scheduling options. As I mentioned in “Expand the Lectionary!”, the effect of many churches doing Year D when lots of other churches do not sets up a cross-rhythm, a sequence of interweaving three-year and four-year cycles. The main point I’m trying to convey is that such “diversity” (!) is not necessarily “divisive” and might in fact be very creative. Meanwhile, there are other options besides committing indefinitely to a four-year cycle (as with Option X below). When discussing this matter of scheduling, one colleague suggested Option Y, which appears to be a good compromise with, or adaptation of, the current three-year arrangement. Option X is interesting to me, as I have said, for the cross-rhythm pattern by which, after three cycles of four years and four cycles of three years, everything will "come 'round right." Option Y, my colleague’s suggestion, keeps the user on the same cycle as the RCL, moving in waltz time, so to speak, but altering the standard RCL pattern every fourth year. Option Z is what I would simply term “ad hoc,” and this by way of four possible modes: on an annual basis (Z1), season by season (Z2), Sunday by Sunday (Z3), or using a Sunday-by-Sunday hybrid (Z4). By an annual ad hoc basis (Z1), I simply mean plugging in Year D any year when the pastor thinks the variation would be helpful or necessary. You can simply return to the RCL after that and pick up where you left off. By way of another example, when I first shared Year D with a small group of colleagues, one pastor who evidently had some hesitancy regarding a commitment to an entire year was nevertheless inspired to preach through the passion, thus exercising option Z2 here. On the other hand, since most of the preaching I do now is as a guest preacher on a supply basis, I tend to exercise option Z3. Yes, even as the designer of Year D, my first stop is generally the current selections according to the RCL; then I turn to Year D to consider some alternative selections from different perspectives within the canon, and this can open up some new dimensions. This has been helpful on such occasions when the RCL presents me with a text (or texts) that has (have) simply become too familiar. For a further variation on this theme and by way another example, on a recent Transfiguration Sunday, I found I was able to gain some fresh insights on the familiar RCL gospel lection, the transfiguration of Jesus, by coming at it from a variety of Year D lections (Psalm, OT, and Epistle), not all of them necessarily from Transfiguration Sunday itself, but from various parts of the Year D "Index of Lections." In short, I retained the RCL gospel lection and varied the other lections, thus implementing a hybrid option (Z4). I think it was perhaps the best Transfiguration sermon I have ever preached. I hope this helps you think ... and pray ... through all the possibilities.